During our many years of experience in dealing with Spanish immigration, we’ve come across some circumstances in which non-lucrative residence permit applications have been rejected by the Spanish immigration authorities. Applicants must count on a relevant income as savings or receive periodic income from investments, pensions, etc., which should allow them and their family to support themselves while living in Spain for a minimum of six months per year.A non-lucrative residence application will be rejected when the applicant cannot prove a minimum monthly income of €2,151.36 (plus €537.84 for each economically dependent person). The compulsory medical insurance policy must be hired from a company operating in Spain and offer the same cover as the Spanish national health system. Travel medical insurance is not accepted and those insurance policies hired from their home countries offering medical coverage while in a foreign country are neither accepted, as they usually include many limitations. We want to put some stress on a reason that has been and is actually a matter of deliberation, often ending in rejections not expressly motivated by the Spanish consular office. The Spanish embassies in some countries value and take more into consideration those applications filed by property owners in Spain. That is, that the applicant has bought a house in Spain. Even if rental properties can also be provided as proof of address, an owned property has more weight on the application. Nevertheless, we need to make it clear that the current Law on Immigration in Spain does not indicate proof of address as a requirement to be met when filing a non-lucrative residence permit application. However, we have found that some consular offices slightly mention it in their internal information for applicants, like for instance the Spanish embassy in Quito, Equator: “Accommodation Availability or proof of sources leading to such availability”. 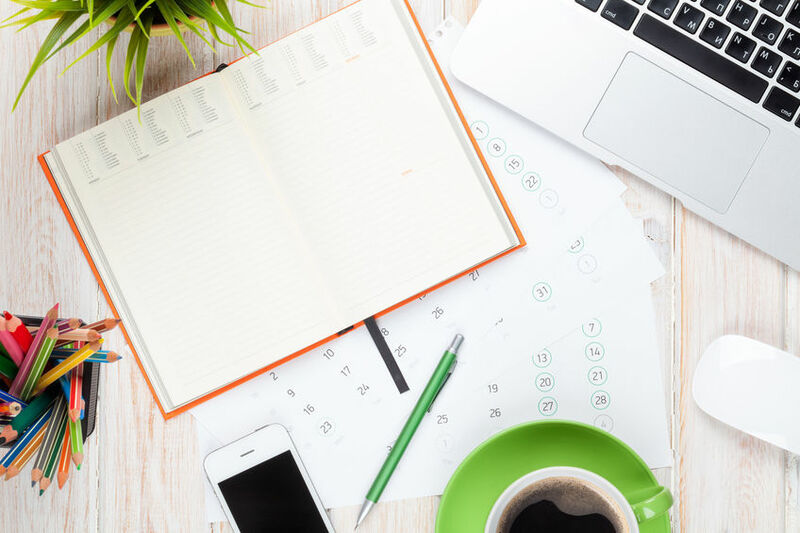 If applicants have children in schooling age, which in Spain ranges from 6 to 16 years old, they will be required to prepare a schooling plan for them before submitting the applications. The usual procedure involves enrolling the children at a private school, often an international one, being the first step paying a school reservation fee deposit. Many applicants find it difficult to comply with the above mentioned requirements, especially since they must invest on a property rental or initial school fees without confirmation or guarantee that the residence permit applications will be approved. Incoherence in the family situation: Single applicants who apply for just one residence permit for themselves, and have planned to leave their family back home, will probably raise a red flag for the Spanish immigration officer in charge of reviewing the application file. In the officer’s view, this person will probably be unable to meet the minimum stay requirement if his family resides abroad. 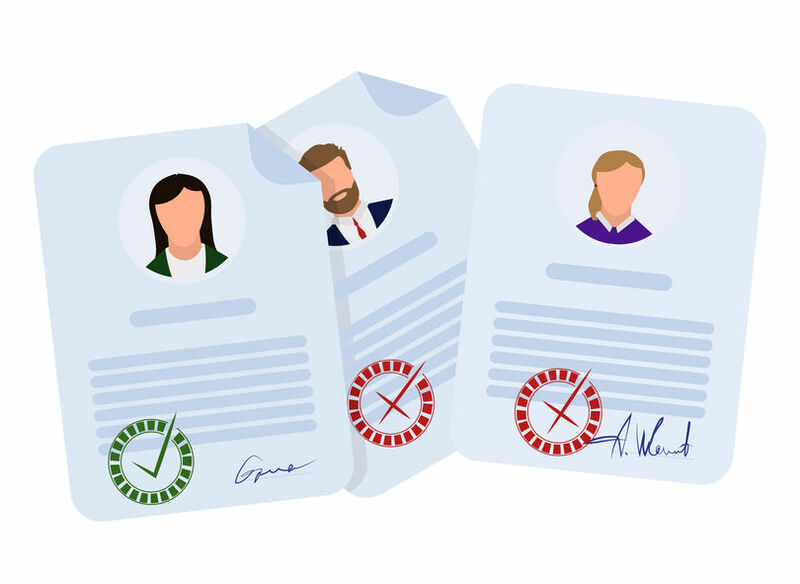 Incoherence in the employment situation: When applying for a non-lucrative permit, it is assumed that applicants receive enough income from their business activity in their home country, and that such business activity doesn’t require their physical presence. This is easy to meet for wealthy business owners, or retired individuals living on high standard public or private pensions. However, we find that there are many young couples that happen to work salaried who want to relocate to Spain, but wish to keep their managing roles at their current companies (with offices in their home country). This may pose a problem when applying for the first time, as the Spanish immigration officer will deem improbable that the minimum stay requirements will be met, as a managing position cannot be left unattended for prolonged periods of time. In those rare cases where an initial application is approved, the bad news is delivered upon renewal, when applicants are unable to prove having spent enough time in Spain during the previous two years. In the remote work era, applicants may be able to convince immigration officers if they can make their current company sign a letter stating they are allowed to work remotely from within a foreign country for at least 6 months a year. Once the application is submitted, the staff at the Spanish Embassy will interview the applicants to confirm that everything stated on the file is true, and to gather any other subjective information not present in the file which can be useful in deciding on the application outcome. They will want to know things such as whether there are any type of family bonds or business connections that support the application and justify the decision to choose Spain among other countries to settle down. Also, if the applicants have visited the country at least once on a recent date or if they have any relatives or business partners already residing in Spain. It should be an easy interview. However, a small percentage of applicants will surprisingly fail to provide the right answers to these questions, and some will even tell the embassy staff that they really don’t plan on living in Spain as residents, but instead want to use the residence card as a travel visa. This will result in an immediate rejection. This entry was posted in Spanish Immigration and tagged minimum stay requirements, Spanish Non-Lucrative Residence on April 8, 2019 by Patricia Martin. One of the most common causes of rejection by the Spanish authorities when it comes to renewing a residence permit is directly related to the failure of the applicant to comply with the minimum stay requirements that Spanish law dictate. A temporary residence permit application allows a person to stay in Spain for more than 185 days per year during a maximum period of 2 years. These temporary residence permits can be renewed once 2 year period has passed, but only if you spend at least 185 days in Spain within each year, which is the minimum stay requirement set by Spanish law for temporary residence permits. Another important time limit to consider is the maximum period of time you can spend out of Spain when applying for permanent residence. As a temporary resident, you will be eligible to apply for a permanent residence card once you have been a legal resident in Spain on a continued basis for 5 years (provided that other financial requirements are met). During these 5 years, the sum of all the days you will have spent outside of Spain should not exceed a total of 10 months. When this is not met, we recommend our clients to apply for an extraordinary renewal of their residence permit (which is an additional two-year temporary residence permit extension), in an effort to accumulate enough days during this time to finally meet the permanent residence minimum stay requirement. It should also be noted that once you are a permanent resident, an absence of 12 months or more will lead to the cancellation of the residence card validity. We cannot but emphasize the importance of this minimum stay to keep your residency status or be able to apply for a new one. As a matter of fact, it is one of the main reasons for a rejection in immigration applications. Some time ago, Spanish immigration officers would have a more relaxed attitude towards the actual compliance of this requirement. However, this is no longer the case, and they will thoroughly examine all the entry and exit stamps on your passport. Despite the above, the current Immigration regulations stipulate exceptional cases that would serve as a justification of a prolonged absence and that would not lead to a renewal rejection: Force majeure reasons, illness, natural catastrophes and accidents. This entry was posted in Spanish Immigration and tagged minimum stay requirements, Spanish permanent residence permit, Spanish temporary residence permit on November 22, 2018 by Patricia Martin. With this post we will try to establish the nature and differences between the various charges likely to be considered of undue collection, determining the effects of its application and the reason for its inappropriateness. Commission for the return of unpaid bills of exchange. These originate in the so-called “bill discount contracts“, normally signed by commercial companies and by virtue of which they assign their credit rights (normally not yet due) to financial institutions, in order to collect them in advance and in exchange for a discount/interest on the principal assigned. However, it must be borne in mind that in those cases in which the entity cannot enforce such a credit right, it is directed against the original creditor (the assignor), charging him a series of commissions of doubtful legality, in addition to the principal. There is no place for the collection of such commissions, since the risk of non-payment by the debtor is a circumstance that necessarily has to be considered ab initio, in addition to the fact that the difficulty or impossibility of collecting the credit is more than compensated by the agreed remunerative interests. It is therefore completely inadmissible for the bank customer to pay this type of commission, since the payment of the same commission corresponds to the collection of the same service twice, a situation which becomes abusive. Commission for overdrafts generated in account. These are generated if the bank account remains in negative numbers (below 0), being the main reason of the entity that they respond to extraordinary expenses of overdraft claim (notification to the holder, etc). As in the previous case, current account contracts provide for the collection of interest in these situations, so that again we are faced with a double charge for the same management. Likewise, the expenses for extraordinary claim procedures must be considered as situations of probable occurrence and, therefore, should not be considered extraordinary. For example, sending letters by ordinary mail, e-mails or calls warning of present or imminent overdrafts should not be considered as additional management. “The commissions and expenses charged must relate to services actually rendered or expenses incurred. In no case can commissions or expenses be charged for services not accepted or firmly requested by the client“. “Commissions or charges may only be levied for services which are firmly requested or expressly accepted by a client and which respond to services actually rendered or expenses incurred”. “This information shall be available in all commercial establishments of credit institutions, on their electronic pages and on the electronic page of the Banco de España, and shall be available to customers at any time and free of charge.Law 7/1998, of 13 April, on General Contracting Conditions, perhaps the most ambiguous and at the same time most categorical in terms of the regulation of clauses included in contracts:The general conditions will become part of the contract when its incorporation into it is accepted by the adherent and signed by all the contracting parties. 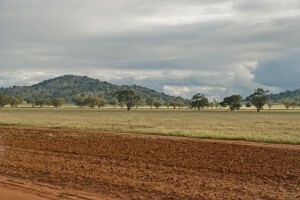 All contracts must refer to the general conditions incorporated. Acceptance of the incorporation of the general terms and conditions into the contract may not be deemed to have taken place if the predisponent has not expressly informed the adherent of their existence and has not provided him with a copy thereof“. a) Those that the adherent has not had a real opportunity to know completely at the time of the conclusion of the contract or when they have not been signed, when necessary. b) Those that are illegible, ambiguous, obscure and incomprehensible, except, as regards the latter, that have been expressly accepted in writing by the adhering party and conform to the specific regulations that discipline the necessary transparency of the clauses contained in the contract“. The contractual conditions governing bank charges should be detailed in a concise manner, specifying their scope and effects. The predisposing party (entity) must explicitly inform the adhering party (customer) of the inclusion of these provisions, ensuring a complete understanding of them. Bank fees must appear in the bank’s tariff book, as well as in the bank’s information media, with the prior approval of the Bank of Spain. Bank commissions must be expressly accepted by the member and respond in a real way to a service actually provided. Entities may not charge simultaneously a commission and an interest for the same service, it being understood that interest alone already constitutes a sufficiently remunerative element. The “additional” efforts to achieve an adequate provision of services should not be considered extraordinary events, but should be included in the daily activity of financial institutions. Therefore, the reading of this post is only to make the bank client know their rights, being totally legitimate to show disagreement with the size of the charges. This entry was posted in Litigation on November 21, 2018 by Juan Martínez. 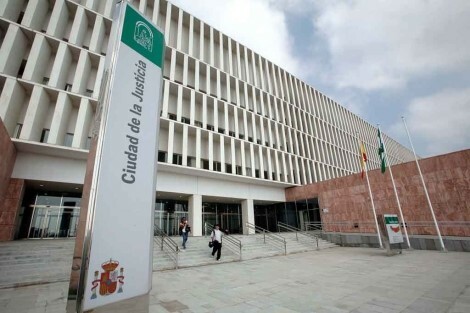 A Court in Madrid has awarded 6 off-plan property buyers a grand total of circa four hundred thousand Euros, inclusive of interest, as a result of a bank guarantee claim filed against BBVA bank, the second largest in Spain. The Court found against the bank as a result of the existence of a collective bank guarantee issued by the bank, despite no individual guarantees being available for each investor. On this occasion, it was not necessary to invoke the Supreme court case law as the merits for winning the case had been already established by previous Appeal Court rulings. This entry was posted in Litigation and tagged 57/1968 Law, Bank guarantee spain, El Pinet, El Pinet BBVa, off-plan property spain on November 11, 2016 by antonio. We are happy to announce that Lawbird has joined the Legal 500 index, following an invitation we have received from their staff. 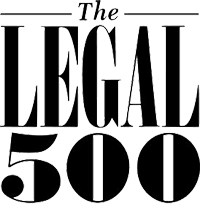 Legal 500 is the world’s leading legal referral site. It offers the definitive judgement of law firm capabilities. We are proud that the Legal 500 recognises Lawbird as a firm worth recommending in Málaga. Cajasol has been ordered to pay €180,000, plus costs and legal interest, to 2 claimants who had bought 2 properties in Jardines de Manilva (Gardens of Manilva) some years back, through Ocean View Properties. In spite of the properties being finished, it was established by the Courts that the unattained licenses of occupancy on the completed projected were a fundamental breach of contract that hampered the legitimate aspirations of property purchasers, following undisputed case law on the matter. With regards to Cajasol, who was found jointly liable to repay the deposits as they had offered a collective bank guarantee to protect advance deposits (no individual bank guarantees had been issued) the Judge dismissed the allegation that the collective bank guarantee was capped at €2,500,000 and that it had already been fully used up to repay other claimants. Quoting the Judge in charge of Court number 3 in Estepona, article 1 of the 57/1968 Act on Guarantees on Off-Plan Property Deposits states that the bank is responsible of ensuring, under its own responsibility, compliance with the conditions of the guarantee as well as the above cited Act for which reason, it is not acceptable that the bank now tries to excuse its obligation by invoking a quantum limitation established on the collective bank guarantee to now pay. Cajasol should be paying out the sums ordered by the Court within the next 3 weeks. As usual with cases dealt with by Lawbird Legal Services, a copy of the ruling is available for review. This entry was posted in Uncategorized and tagged Bank guarantees, Cajasol, Gardens of Manilva, Jardines of Manilva, ley 57/1968, Oceanview Properties on July 25, 2013 by antonio.